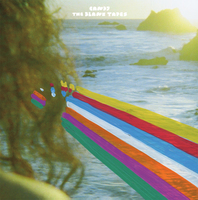 I LOVE the Blank Tapes. And Candy is probably one of the strongest records Matt Adams (who plays most of the instruments on recordings) has ever made. It was produced by Eric D. Johnson of Fruit Bats, and it's a serious sunbaked summer driving jam. I just drove from Los Angeles to San Luis Obispo up the Pacific Coast Highway in the MVR van blasting this thing, and it was a PLEAASAANNT experience. I don't smoke the weed, but Matt does, and if you do, "the drugs" pair nicely with this one. There is a limited version on "unique transition and pressman's choice" vinyl, which is basically just when my friend Cash at the pressing plant throws in whatever colors he feels like at the moment to make a record unlike the rest of the batch. The Limited Version comes in a silkscreened cover with a glossy 8x10" that has been painted on by Matt. There are ten of each photo, but the rainbow he draws on them will all be unique. 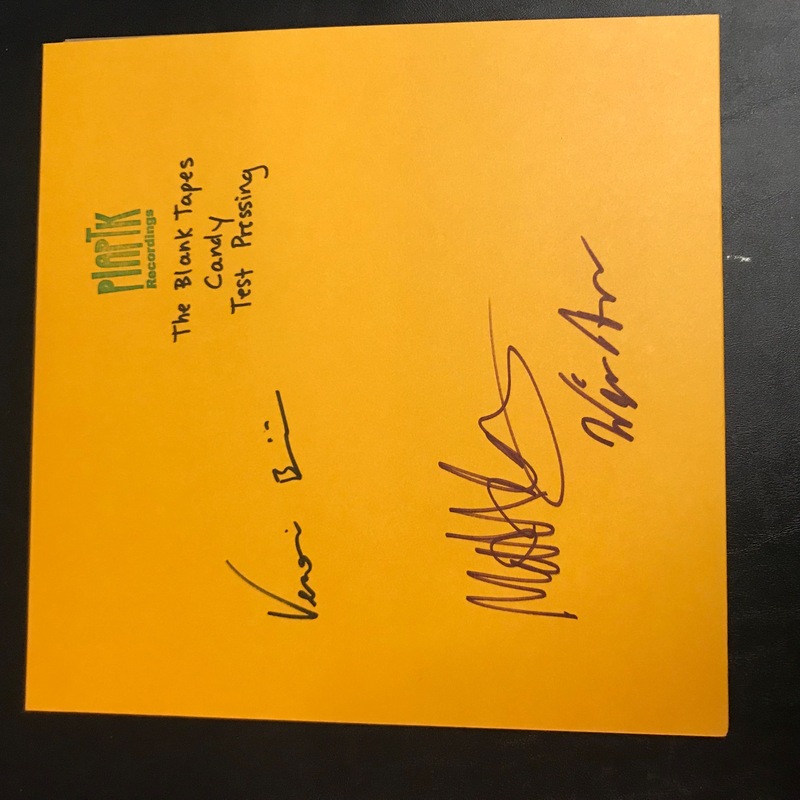 THE BLANK TAPES is the moniker of Los Angeles based multi-instrumentalist and producer, Matt Adams, who has produced over a dozen albums of 1960’s inspired folk-rock-surf-psych-soul-pop on Volcom, Burger Records, Antenna Farm, and many others. 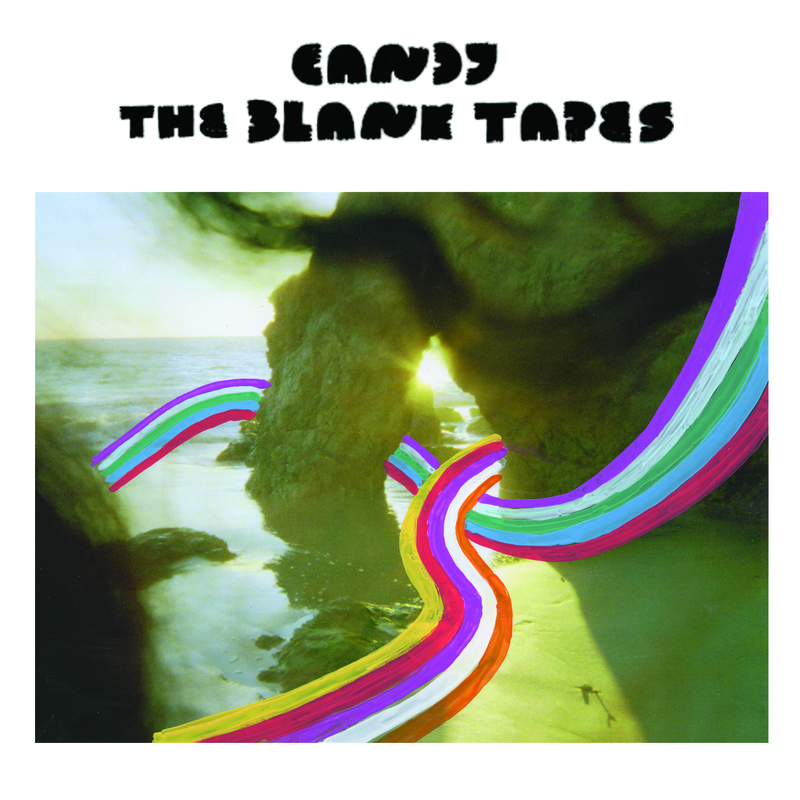 Their new album “Candy” was produced by Eric D Johnson (of The Fruit Bats) at his home studio in Portland, OR featuring bandmates Will Halsey of “Sugar Candy Mountain” & Veronica Bianqui as well as EDJ himself. The Blank Tapes have toured throughout America, Canada, Brazil, UK, Europe, & Japan. Matt is also the visual artist behind his band’s (and a slew of others) posters & album covers.